We need to trust people to get our work done. Without trust it is difficult to work with anyone. It is only when we establish trust with the other person that we are able to work with him. Trust helps us in delegation of work. We cannot do everything ourselves we need other people to help us so that they can lessen our burden, do our job and attend meetings. It is difficult for an employer to be present at two different places at the same time. It is difficult to call off things so he needs helping hands to carry his vision forward, work for him and hence build his business. Employees help the employer reach his goal and run business. A network of trustworthy people put together not only help in establishing a good business but also helps an employer earn profits. For trust it is very important that we believe in the other person and respect his genuine opinions. Trust can never be established if we always challenge other persons skills and knowledge. It is only when we have faith in him/ her and stop doubting other person’s ability that we are able to establish a great relationship. Talk, communicate, meet people, share ideas. all of them help in establishing trust and helps us in knowing the other person in a better way. Do not poke your nose too much when the work is in progress. Get reports and have a watch. Distrust breeds dishonesty and these traits can create havoc in the work place. Keep a check on employee’s behaviour so that you are not taken for granted. Keep your promises as an employer or employee so that you are trusted. Deliver much more than what is expected of you. Don’t over promise and under deliver. Check whether people find your character trustworthy. If no then you need to mend your behaviour and tie all loose ends so that your employees trust you, your customers trust you. 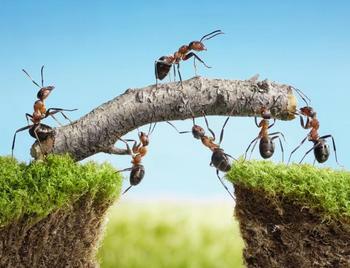 Trust helps in establishing great teams which have the ability to achieve best results. They know each other well and can work in a group. Everyone is responsible for what he is doing. This helps the team in achieving outstanding results. Open communication builds trust. Do not deceive the other person. Share information at the right time and at the right place. Do not present half truth, it is even more dangerous than lies. Share what you think can be easily digested by your team members or employees. Trust creates less chaos in the workplace and creates an understanding environment of work. Trust creates peace at the workplace. You know that the other person will handle it. Trust helps the employees in respecting each other.